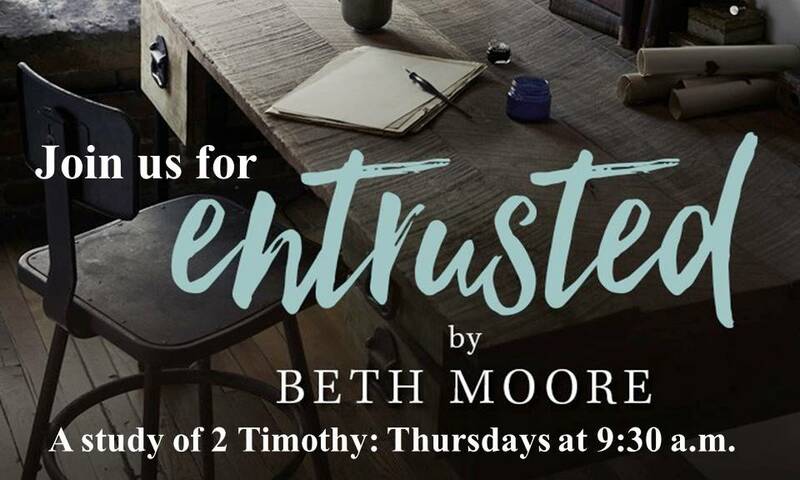 Join Dustin James as the women begin a new book study on Beth Moore’s book, Entrusted, based on 2 Timothy. It starts this week on Thursdays at 9:30 a.m. in the Community Room. Description: We were never meant to take this journey of faith alone or in secret. God has entrusted us with the great and mighty gift of the gospel, something too precious and life-giving to keep to ourselves. In this 6-session Bible study, Beth will encourage you to guard what God has entrusted to you, further His kingdom by sharing Christ with others, and pour into future generations just as Paul once mentored Timothy. Because in this journey of joy and hardship, we need each other to stay the course and live lives of faithfulness.